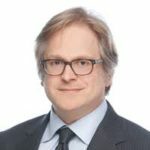 Editor’s Note: This is the second article in a series by Richard Naiberg where he discusses how cannabis businesses can protect their intellectual property in Canada. Part 1 introduced the topic and examined the use of trade secrets in business. Part 2 goes into how business owners can protect new technologies and inventions through applying for patents. Patents, which are issued in accordance with Canada’s Patent Act, provide their owners with the right to have a Court prevent anyone else in Canada from making, using, selling, importing or exporting what is claimed as the patent’s invention. The owner of the patent enjoys this monopoly for a period of 20 years from the date the patent is applied for. A patent is infringed even if the infringer arrives at the invention independently, without actual copying. If a patent owner brings a lawsuit and the Court finds infringement, the Court will typically order the infringing activity to cease and require the infringer to pay the owner a suitable amount of compensation. There are several drawbacks to applying for a patent from the point of view of the applicant.Patents are meant to protect only inventions, meaning novel, non-obvious and useful solutions to practical problems. In the cannabis field, such inventions could include engineered genetic sequences or new plant cells that lead to useful improvements in the whole plant, new cultivation processes, new methods of extraction, new methods of storage or means to enhance stability, new formulations for administration, and new uses for the plant. It would not be uncommon for a cannabis producer to hold a suite of different patents that cover a whole range of innovative technologies and innovative business methods. Not all classes of technical innovations are protectable by patent. For example, patents are not available for a whole cannabis plant because no patents are allowed on higher, multicellular organisms. Patents are not issued for genetic sequences or cells that are the result of cross breeding. Patents are also unavailable to monopolize methods of using cannabis as a medical treatment. That said, patent agents are skilled at casting innovations in areas such as these in terms that do provide some patent rights. To obtain a patent, the applicant hires a patent agent to prepare and submit an application to the Canadian Intellectual Property Office (CIPO). An examiner at CIPO reviews the application for compliance with the statutory requirements and enters into a correspondence with the applicant’s patent agent in a process known as a patent prosecution. Third parties also have the opportunity to oppose the grant of a patent on limited grounds. The prosecution may continue for a period of years before the application is either allowed to issue to patent, or is ultimately rejected. Separate patent applications must be filed in every country in which patent rights are sought, though there are international treaties that facilitate these separate filings and preserve early priority filing dates.there can be a significant cost in obtaining patents, particularly if patent rights are sought in multiple countries. It is important to emphasize that if an invention had been disclosed to the public more than one year before the application for the patent is filed, a patent cannot issue. Cannabis producers must therefore ensure that disclosures of their innovative work be controlled, including when working with partners. This can typically be handled with the use of appropriate non-disclosure agreements. The prospect of market exclusivity makes the filing of patent applications a must for cannabis businesses, including those just starting out. For a start-up, simply filing a patent application projects that the company has value and a clear vision of its business. Venture capital often seeks companies with patent applications on file because the applications can mature into assets which can be monetized either by protecting a market for the owner, or through assignment or license to others. cannabis researchers and producers have already filed hundreds of patent applications in Canada. There are several drawbacks to applying for a patent from the point of view of the applicant. Unlike the case for a trade secret, an applicant for a patent must make full and correct disclosure of the invention and how to use it in the patent itself. This disclosure will allow competitors to understand the applicant’s technology. The public disclosure provides a blueprint for competitors to build upon the patent’s disclosure, and to design around it to avoid infringement. Also, and unlike trade secrets, patents have an expiry date after which the public is free to practice the invention. The Commissioner also has the power to issue compulsory licenses to third parties in several circumstances, including when the demand for the patented article is not being met on reasonable terms. Further, the patent right is not infringed when the patented invention is used for non-commercial or experimental purpose. Finally, there can be a significant cost in obtaining patents, particularly if patent rights are sought in multiple countries. Disadvantages or not, cannabis researchers and producers have already filed hundreds of patent applications in Canada. These applications relate to a wide range of inventions in the cannabis field including new cannabis resins and oils, methods of producing cannabis having improved properties, specific new growing processes, new harvesting methods, new extraction techniques, new formulations for human and veterinary use as foods, medicines and supplements, new delivery devices, new purification methods, new analytical methods, and new stabilization methods. Interested companies can access these disclosures from the public record. As cannabis companies rush to obtain patent monopolies for their technologies, minefields are created for operating companies. Cannabis producers should obtain reports on what patent applications exist and might be asserted against their operations if and when these applications mature to issuance. With that intelligence in hand, the cannabis producer can understand what threats can be safely ignored and what patents must be addressed by assignment or license, by ‘design around’ or by developing an argument as to why the patent is invalid and thus unenforceable. Editor’s Note: In Part 3 of this series, which will be published next week, Naiberg will discuss plant breeders’ rights and protecting new plant varieties. Stay tuned for more!